Play Chocolate Biscuits and more Most Popular Games on Games1.com! In the cooking game series Cooking with Emma you'll find healthy recipes that make your mouth water! For all fans of vegetarian or vegan cuisine, today Emma is showing you how to bake delicious chocolate biscuits. Do you want to try those tasty treats? 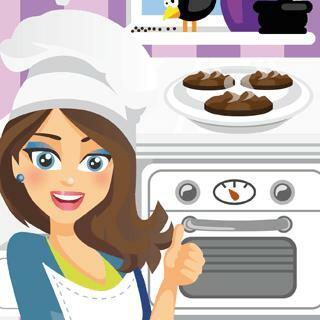 Get your smartphone or tablet and start the kitchen fun!